Yamini vin Hijau, is a grandson of Batin Hitam bin Wahi (the first indigenous sculptor in Malaysia), demonstrating his skill at the Bremen Exhibition, Germany. One of the noted plant physiologists in the country is Dr. Benito Sibug Vergara, who earned his Bachelor’s degree at the University of Hawaii in 1959, and his Doctor’s degree in Plant Physiology at the University of Chicago in 1960. Plant physiology is simply the study of the tasks and behavior of flora, and of the different physical and chemical processes involved. Dr. Vergara started out as associate plant physiologist at the International Rice Research Institute (IRRI) in 1961, became Director for Administration till he retired in 1996. He was likewise a member of the Ornamental Team of the Philippines Council for Agriculture and Resource Research, and became president of the Los Banos Orchid Society. With his countless organization and research centers devoted to the welfare of the plant, like biological studies and improvement of deep water ice, flood tolerant rice and cold resistant rice, the development of rapid generation advance methods for rice, and the physiology of rice flowering; plus some 500 scientific papers to his name, including a technical bulletin on the flowering response of the rice plant and the illustrated Farmer’s Primer on Growing Rice, which has been translated into over 36 languages, Dr Vergara has received numerous awards and much recognition . 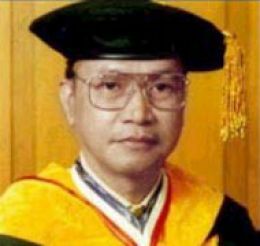 among his many titles are Outstanding Young Man (1961), Outstanding Phi Sigman (1977), Outstanding Alumnus of the UP Botanical Society (1986), American Society of Agronomy Fellow (1986), and Honorary Scientist of the Rural Development Administration of the Republic of Korea (1908). Perhaps his most important achievement thus far is to have “National Scientist” affixed to his name. he joined this venerable list just a few years back, on September 4, 2001, to be more precise. He was honored for his hard work, creativity, and overall brilliance. Marie de Médicis was born on April 26, 1573 in Florence and died in July 3, 1642 in Cologne. Queen consort of King Henry IV of France (ruled 1589-1610) and from 1610 to1614, regent for her son, King Louis XIII (ruled 1610-43). She was the daughter of Francesco de’ Medici, grand duke of Tuscany, and Joanna of Austria. 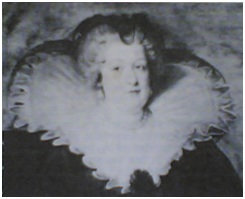 Shortly after Henry IV divorced his wife, Margaret, he married Mari (October 1600) in order to obtain a large dowry that would help him pay his debts. In 1601 Marie gave birth to the dauphin Louis (the future Louis XIII), and during the following eight years she bore the King five more children. Nevertheless, their relationship was strained. Marie resented Henry’s endless infidelities, and the King despised her unscrupulous Florentine favorites, Concino Concini and his wife Leonara. Upon the assassination of Henry IV (May 14, 1610) the Parliament of Paris proclaimed Marie regent for young King Louis XIII. Guided by Concino (now the marquis d’ Ancre), Marie reversed Henry’s anti-Spanish policy. She squandered the state’s revenues and made humiliating concessions to the rebellious nobles. Although Louis XIII came of age to rule in September 1614, Marie and Ancre ignored him and continued to govern in his name. on April 24, 1617, Louis’s favorite, Charles d’ Albert de Luynes, had Ancre assassinated. Marie was then exiled to Blois, but in February 1619 she escaped and raised a revolt. Her principal adviser, the future Cardinal de Richelieu, negotiated the peace by which she was allowed to set up her court at Angers. Richelieu again won favorable terms for her after the defeat of her second rebellion (August 1620). Readmitted to the King’s council in 1622, Marie obtained a cardinal’s hat for Richelieu, and in August 1624 she persuaded Louis to make him chief minister. Richelieu, however, did not intend to be dominated by Marie. He enraged her by rejecting the Franco-Spanish alliance and allying France with Protestant powers. By 1628 Marie was the Cardinal’s worst enemy. In the crisis known as the Day of the Dupes (Nov. 10, 1630), she demanded that Louis dismiss the minister. Louis stood by Richelieu and in February 1631 banished Marie to Compiègne. She fled to Brussels in the Spanish Netherlands in July 1631 and never returned to France. Eleven years later she died destitute.